I haven't gone to the grocery store all week. I have 2 lemons in the fridge, and half a head of broccoli. In this recipe, the roasted lemons give the pasta a nice flavor and with a can of anchovies, this is a beautiful sauce. 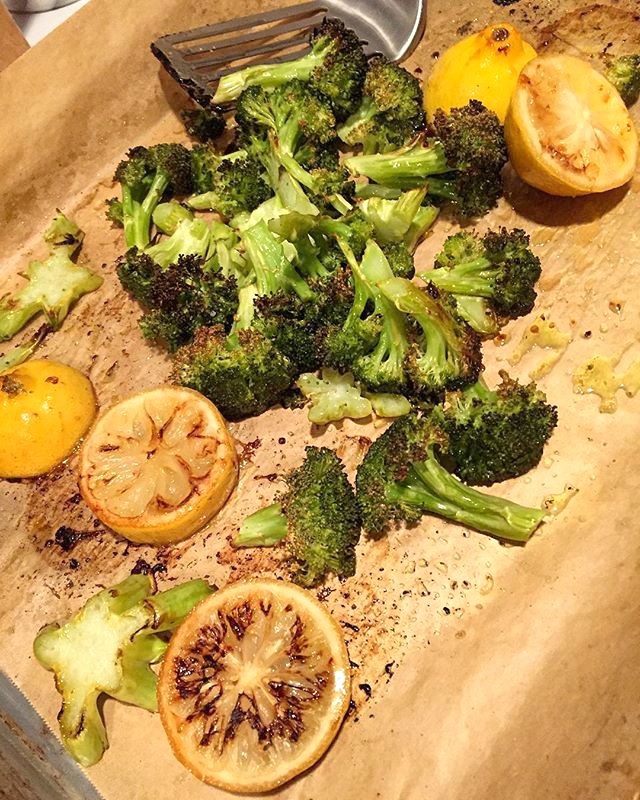 Cut up broccoli into smallish florets and slice lemons into thirds. 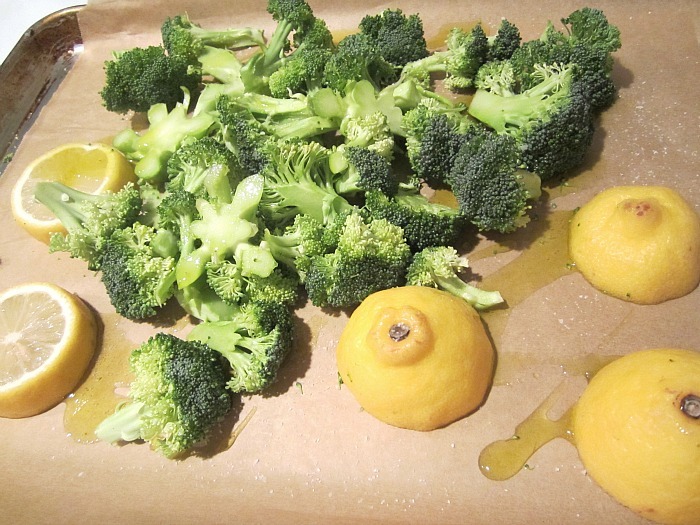 Lay the lemons flesh side down on a parchment lined baking sheet, along w/ the broccoli. Drizzle with olive oil and kosher salt. Roast in a 425F oven for 25 minutes, turning the broccoli over to char all sides. While the broccoli and lemons are roasting, make your pasta sauce and boil your pasta. In a large skillet, heat a can of anchovies w/ the oil and cook on low until they little fishies are dissolved. Add some more olive oil to the skillet and add in 3 garlic cloves sliced, and saute for another minute. Add in about a 1/3 cup of white wine or chicken stock and simmer the sauce for 5 minutes. Drain the pasta (I choose linguine) and add to the anchovy garlic sauce. I always let some of the starchy pasta water cling to the pasta (never rinse your pasta unless you are making a cold pasta salad!). 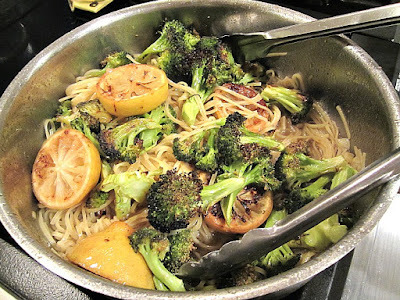 Add in the roasted lemons and broccoli and toss with a little butter at the end. Add in hot pepper flakes and freshly grated Parmigiano Reggiano. After all the big PREPPING & big EATING of the holidays, this is so exactly what I want that my mouth starting watering ! Sounds like a good way to make a delicious dinner with just what's on hand - and you're so good at that. I discovered your blog when I goggled "Panforte Recipe". Was given some as a Christmas gift and absolutely loved it. Thanks for sharing the recipe!